Presentations have been posted HERE. Looking for the HR Guide for Local Government? It has moved! 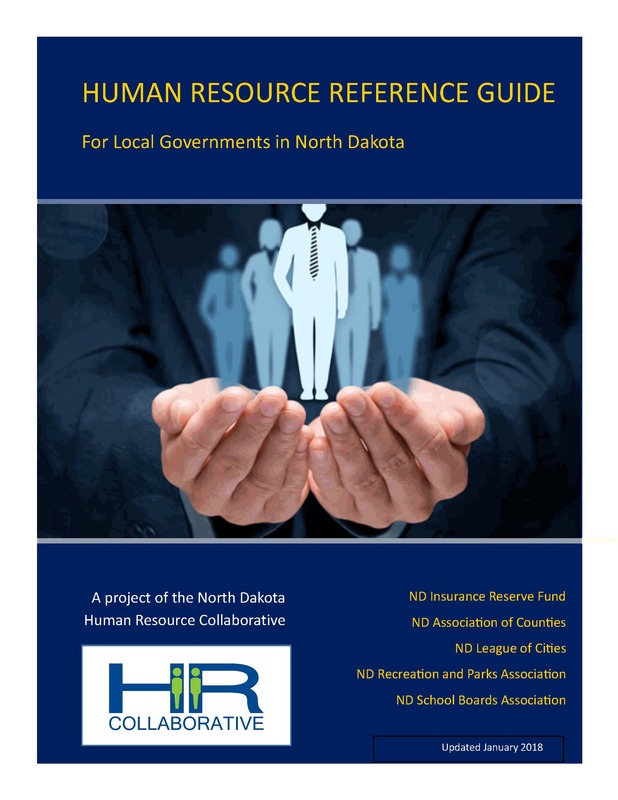 Click the image to go to the new ND HR Collaborative for Local Government site where you can download it. New: instructions for how to make your Job Service listing link directly to our form! The proposal to change state and local laws to refer to dollar values instead of mills failed in the recent Legislative Session. Counties believed, as did most legislators that it would not have made property taxes easier to understand. Learn more about the mysterious beast called a "mill" and decide for yourself. Click here to go to our Understanding Property Taxes page or find it under the "About Counties" tab.